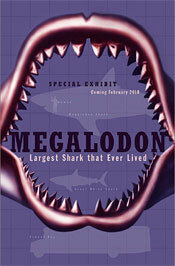 As part of their exhibit entitled “Megaladon: Largest Shark That Ever Lived“, I will be giving a public education talk about sharks at the North Carolina Museum of Natural Sciences in Raleigh. The talk will be at 7:00 p.m. on Tuesday, March 9th. The talk is approximately 45 minutes long, which leaves plenty of time for questions. I am also available for dinner after the presentation to discuss shark conservation issues with readers and museum attendees. I’d love to meet some of our readers, and it would be great to see new friends from Science Online 2010 again.